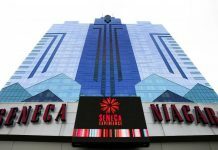 Atlantic City gaming revenue took another hit in May, coming in down 5.1% year-on-year to reach $193.4 million, according to new figures released by the New Jersey Division of Gaming Enforcement (DGE). Despite a sea of optimism that Atlantic City was finally on the rebound after years of relative stagnation, thanks in large part to the opening of two new casinos, the Ocean casino Resort (formerly the Revel) and the Hard Rock Atlantic City (formerly the Trump Taj Mahal), as well as the U.S. Supreme Court decision in the case of Christi vs NCAA that opened the doors to legalized sports betting across the country, 2018’s numbers are not boding well. According to the New Jersey Casino Control Commission, the first quarter of 2018 saw revenue figures down 3.2% and operating profit down 11.7% year-on-year. In fact, first quarter (Q1) figures showed all seven major casino venues in Atlantic significantly down on the year, with profits at Caesars and the Borgata down a whopping 38% and 27%, respectively. Many industry analysts blamed inclement weather for the drop in Q1 revenues. 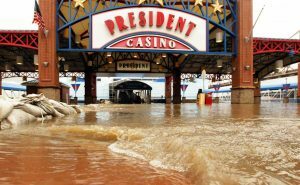 Hotel occupancy rates for Q1 came in at 77.9%, a 3.2 point drop over the same period last year as many gamblers opted to stay at home and wager online rather than risk the trip to Atlantic City amid the sleet and snow. However, blaming the downturn on the weather may have worked for Q1, but is no excuse when it comes to May’s figures. 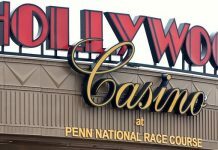 The weather being just fine, once online gambling revenues are subtracted from May revenue figures, total land-based casino revenue was down 7.2% to come in at $194.4 million. On the other hand, while Atlantic City’s brick and mortar casinos continued to suffer, their online gambling operations saw revenue hitting near record marks, coming in at $24.3 million for the month. Table games took the brunt of the downturn, falling almost one quarter year-on-year to hit the $48.2 million mark. James Plousis, chairman of the Casino Control Commission, explained that last year Atlantic City casinos saw a higher than average take from table games, helping push down this year’s year-on-year numbers. At the same time, slots revenue continued to rise he noted, up less than 1% to top $145.2 million. The month’s biggest losers continued to include both Caesars and the Borgata, with the Borgata pulling in $61.4 million, down 10% and Caesars generating $22.3 million, a nearly one quarter drop year-on-year. Caesars Entertainment’s other venues were also hit hard, with Bally’s down 11.5% to pull in $16.6 million, and Harrah’s falling 7.1% to come in at $27.4 million for the month. However, it was not all tears and gnashing of teeth as at least three land-based venues were in the black in terms of year-on-year net gains. 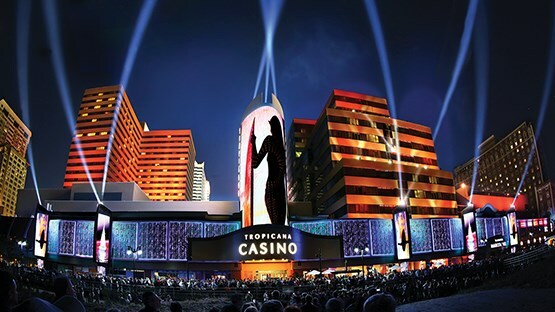 The Tropicana was the biggest winner, up 7.3% to pull down $30.9 million. The Golden Nugget also saw year-on-year revenues rise for the month, coming in at $19.7 million, up 5.7%. Tailing the winner’s column was Resorts, which squeezed in a 1.2% year-on-year rise for May to come in $15.5 million. With both the Hard Rock and Ocean Resort casinos poised to open their doors in June, only time will tell if the new venues bring ever greater numbers of visitors back to Atlantic City’s casino floors or if, as some have feared, with the popularity of online gambling continuing to grow, the new venues will instead cannibalize already sagging visitor numbers. In light of the U.S. Supreme Court decision declaring the Professional and Amateur Sports Betting Act unconstitutional, effectively opening the doors to legal sports betting across the nation, hope remains that sports books could tip the balance in the coming months and bring Atlantic City gambling revenue figures back into the black. Today, the Borgata will be the first to start taking legal sports bets with its new Race & Sports Book operation. Most other Atlantic City casinos are expected to launch their own sports books as soon as possible.